This 12″ x 26″ sign is a rectangle with curved corners. The boarder of the sign is a gloss black. Within that black boarder is the white background. 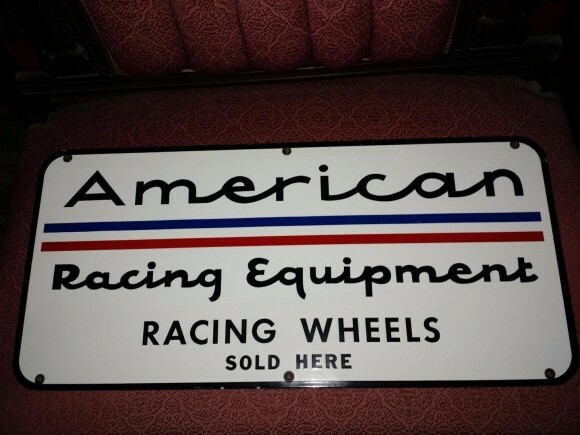 The text on the sign reads “American Racing Equipment Racing Wheels Sold Here.” The text is in black. There are two lines that run under the word “American” that are red and blue. The separation in between the lines gives the appearance that there is in fact a third line.